> > I saw your post on the yatching forum. 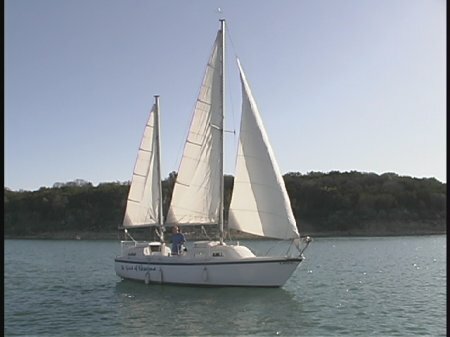 I am updating the Parker Dawson > webpage and was wondering if you could pass on your hull number and > other info. Please visit www.parkerdawson.com and let me know of > additions of subtractions. Here is the information that you asked about. 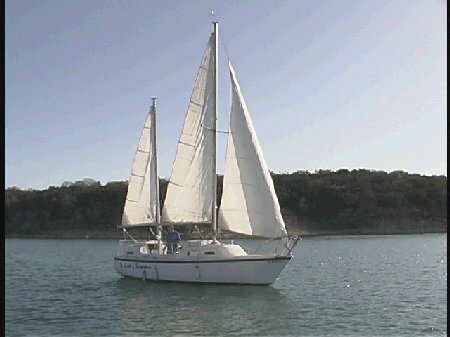 Hull 95 has succeffulled sailed from Texas to Central and South America many times. It has endured hurricanes and gales (By a former owner - NOT ME). I keep the boat on Canyon Lake, Texas. I have never had an engine in the boat. 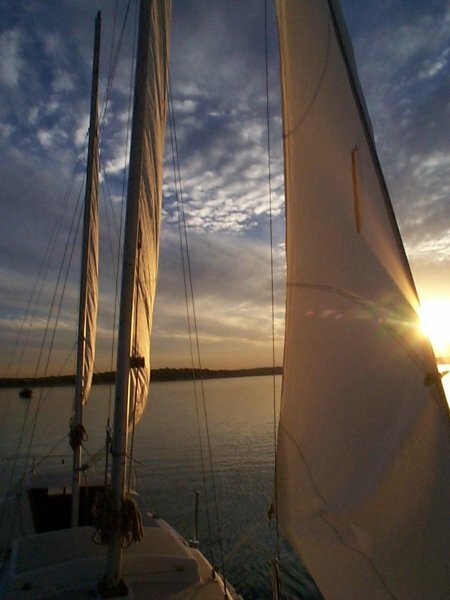 I am now glad that I did not, I had to learn to sail. However, I am interested in putting an electric motor in it if I find something suitable. I love the boat. 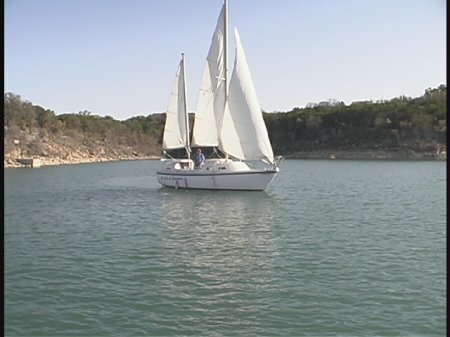 It is to be the feature boat in a feature length movie being shot this summer on Canyon Lake. The name of movie will be either "The Wind in My Sails" or "The Wind in My Hair". The boat looks great in the film strips that I have seen so far. I have attached some JPEGs for you that came from some of the test footage.